Win a bottle of Zendocrine Detoxification Blend! 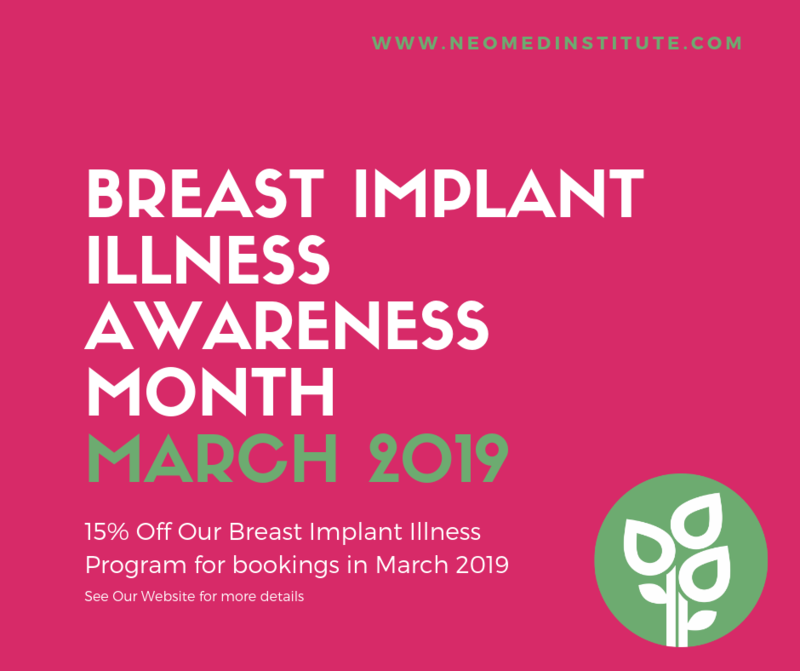 This March marks Breast Implant Illness Awareness Month 2019. In recognition of this special month we are offering our guests a discount of 15% off our unique Breast Implant Illness program in March. We hope this will help more take advantage of our program and find relief from some of the debilitating symptoms of Breast Implant Illness..
To avail of the discount you must book your program and pay your deposit for your program before the 31st March and commence your treatment before the 31st May. Sign up with your email address to receive our regular Breast Implant Illness news and updates.